Hawai‘i-based and nationally known for elegantly unique designs handcrafted in gold, Mikel’s sculpturally modern creations are both meaningful and timeless. 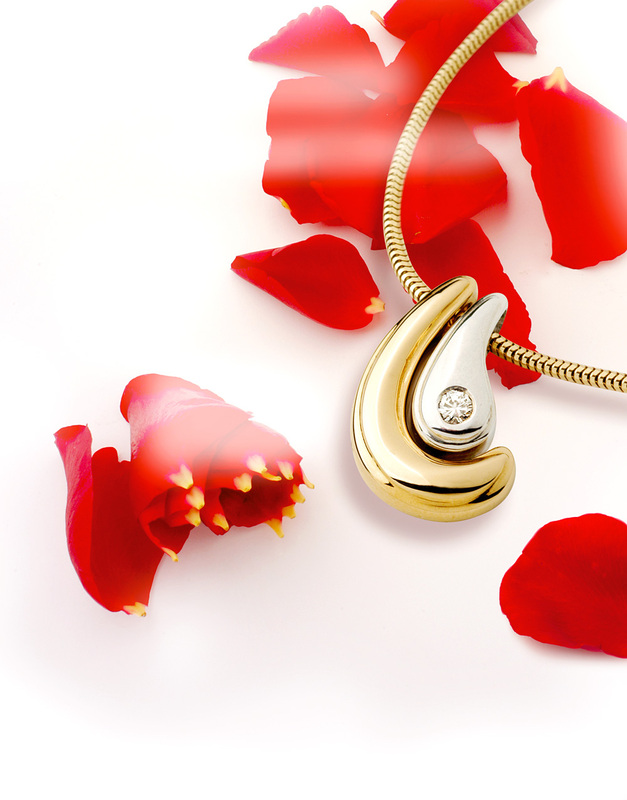 Celebrate and honor your love with the National Award-winning Hawaiian Love Pendant. Two souls joined together as one. Yellow gold (the man, inspired by ancient Hawaiian fi shhooks) embracing white gold (the woman, inspired by the ocean) with diamond (the heart). Golden Bamboo (symbolizing good fortune) and Golden Coral (sensual and tropical) combine three shades of gold with diamond. Stroll along the beach, hang-loose and go Barefootin’ with his popular whimsy in gold with diamond toe. Inspired by ancient Hawaiian petroglyphs (rock carvings), Tropical Turtles are a joyous celebration of our unique marine life and the honu (turtle). Plumeria Petals create a fragrant remembrance of Hawai‘i in gleaming gold with sparkling diamond. Royal Palm sways to the tropical breeze with diamond coconuts. Mikel’s elegant designs are the perfect island gift for you or someone special back home. These collections and more Mikel designs are available exclusively on Maui at Martin & MacArthur. Or visit www.MikelJewelry.com.